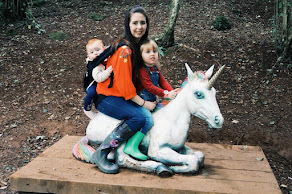 Toilet Training With Illumibowl | Then there were three.. Telling me when she is "wet" or needs to "poop"
With all of these signs in mind, out I went to pick up a potty, toilet seat, step, pull ups and Peppa Pig knickers! 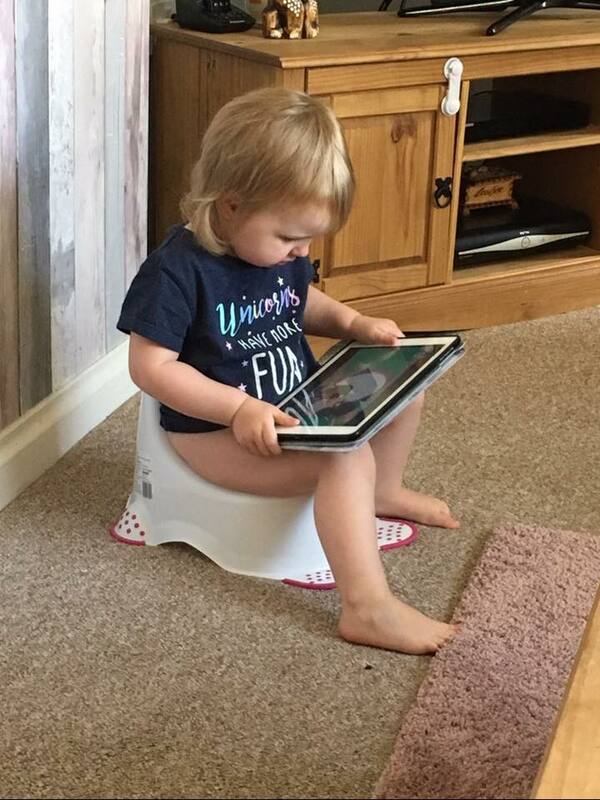 Aoife enjoys copying people and tends to pick things up from watching other children, so when we had friends over recently who are toilet training their daughter, I figured this would be the perfect opportunity. Off came the nappy and we let her run free under her dress; potty close by of course! This "perfect opportunity" resulted in a poop on the kitchen floor and another in the living room which ended up rubbed into the carpet; definitely not my best parenting moment! 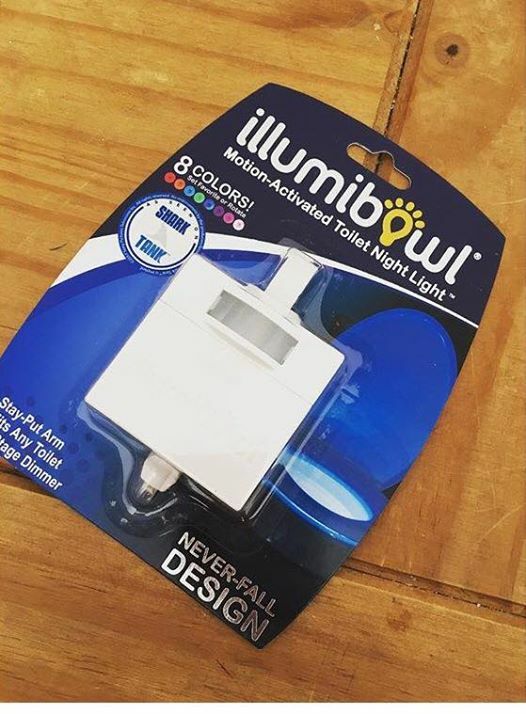 When I was contacted by Illumibowl to test out their Motion Activated Toilet Light, the first person I thought would benefit from this was actually my husband; no more missing the bowl in the night for him! 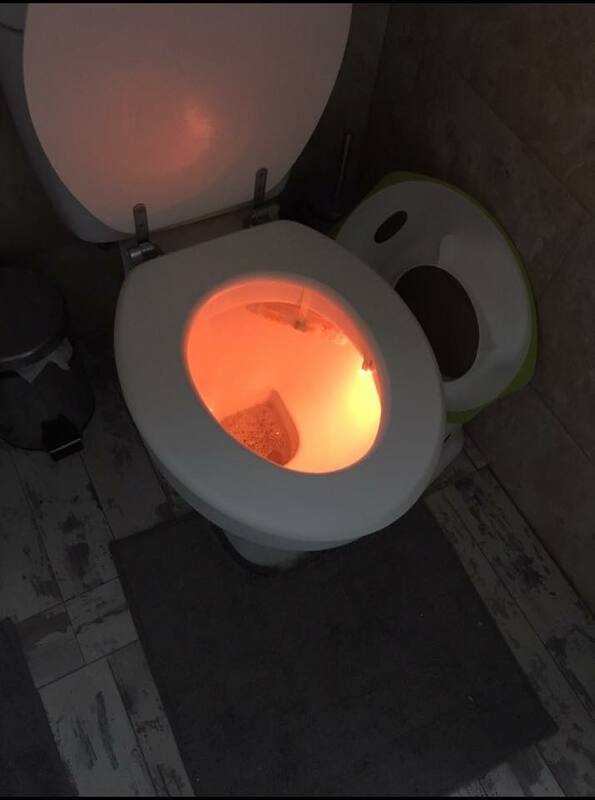 Once the Illumibowl Toilet Light had been installed, I noticed that Aoife was starting to take a lot of notice in it and wanted to sit on the toilet more often to look down at the "pretty lights". I decided to start using this to my advantage and encourage her to use the "big girl" toilet instead of the potty. She now loves to go into the bathroom and put her toilet seat on and position her step to allow her to sit up onto the toilet. Whilst we are still not fully toilet trained, she is certainly making progress and I do think the Illumibowl Toilet Light is helping keep her sat on the toilet rather than trying to fight her way off. I have to say, it did take some getting used to at nights, but now I don't even notice it. Turns out it has helped my husband too and I no longer find questionable puddles on the bathroom floor in the morning! If you fancy ordering your own, you can do so here. Although, you may wish to test your luck as Illumibowl have given my readers an opportunity to win their own. If you fancy taking your chances, just enter below. The closing date is 11:59 pm on 23rd of July 2017. The prize is an Illumibowl Motion Activated Toilet Night Light - no cash alternatives. *Disclaimer* I was sent the Illumibowl Toilet Light in exchange for an honest review and giveaway. All thoughts and opinions are my own.